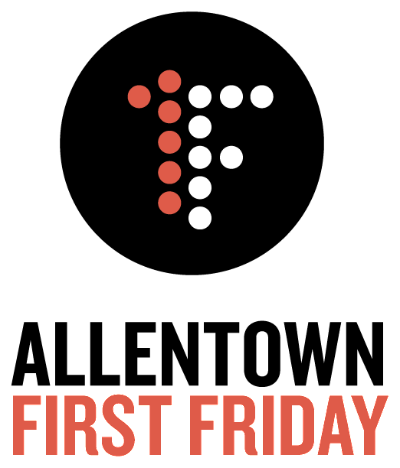 First Friday Gallery Walk + Last chance for Yard Sale! Indigo marks its' 10th year on Allen Street with X, an exhibition celebrating art and artists who have exhibited in the gallery during this time. Current exhibition, Manifest Exploration: Richard Angelo Runfola continues to traverse a zone of intuition and emotion with his effervescent and distinctive creations. El Museo - Buffalo, NY / Chance Operator: Iris Kirkwood, Shawn Lewis: Buffalo born and self-taught artist Iris M. Kirkwood draws and digitally paints images that create visual narratives, mixing elements of the short story with color and line. Shawn Elliot Lewis is a Buffalo-based artist who has made digital landscapes and colorful computer-generated gardens for the past decade. Pine Apple Company / Pine Apple Company's 2nd Birthday Show: Pine Apple Company is turning two! Our artist showcase for September will display unique artwork by our six member/owners: Tom Holt, Mickey Harmon, Sarah Liddell, Esther Neisen, Yames and Mike West. Trend Up / MS Eye Candy / A Tribute to Buffalo by Kalin Price: Check out Kalin Price Photo Exhibit, "A Tribute to Buffalo". Price's work will be on display for the entire month of September and available for purchase. During the opening, enjoy our end of summer sale too! Buffalo's Back Yard: Photography Pop Up / 16 Harwood Place, Buffalo, NY 14208: Buffalo's Back Yard will direct the lenses of 12 photographers toward the hidden, the private, and the seldom seen of Buffalo; Friday 6-10pm. YASC Exhibition by Locust Street Art / Locust Street Art: Locust Street Art's Young Artists Summer Camp Present combinations of works from each camper from their two week art intensive camp. Shasti O'Leary Soudant: Do Not Mistake Our Softness for Weakness / Eleven Twenty Projects: Eleven Twenty Projects is delighted to announce Shasti O’Leary Soudant’s upcoming exhibition, Do Not Mistake Our Softness for Weakness, featuring sculptures focusing on simultaneity and navigating the multifaceted and complex qualities ascribed to the feminine and the masculine. Queen City Gallery / Art Under the Stars (our monthly outdoor Art exhibit) 64 College Street (in the heart of Allentown) Art By: Neil Mahar, David Pierro, Candace Keegan, Chris McGee, Eileen Pleasure, Eric Evinczik, Barbara Crocker, Thomas Bittner, Susan Liebel, Barbara Lynch Johnt, John Farallo, Thomas Busch,Sherry Anne Preziuso, Michael Shiver, Madalyn Fliesler, Michael Mulley on exhibit through 9/2/18. and new events each month! DEADLINE TO BE INCLUDED YARD SALE MAP IS TOMORROW! Almost TWO DOZEN addresses so far! Yard Sale map will be emailed, posted on our website and Facebook page prior to Sunday. Like and Share the Facebook event.